Buildworks is an authorized distributor of distinct brands of premium cabinetry. We carry Medallion's Platinum, Gold, and Silverline series, Design-Craft, Danver and Brown Jordan. Buildworks also has our own customer products from Cabinetworks, Greenworks, and Closetworks. Each line of cabinetry offers different features and price points, including fully-custom cabinetry, semi-custom and stock products. With an abundance of choices, Buildworks is sure to deliver you cabinetry solutions that fit your design aesthetic as well as your bottom line. If you want something special, something unique, something Distinctly Yours, then look no further. Medallion Cabinetry offers more styles, more options and more value than virtually any other semi-custom cabinetmaker. Medallion’s tremendous selection of the latest in high-fashion door styles and finishes gives you the freedom to create beautiful living spaces. Their broad array of wood species options, bold door styles, rich stains with glaze options, classic paints with antique options, and numerous theme-inspired designs give you the flexibility to be visionary. Medallion cabinets are made from the best materials skillfully crafted and meticulously finished. Hand applied stains and varnishes create a finish that is beautiful, easy to clean and durable. Medallion semi-custom cabinetry confidently stands behind its products with a Limited Lifetime Warranty. Medallion cabinets include: the strongest drawer box available, a sign of true craftsmanship and quality; premium hardwood and craftsman joinery create beauty and durability; high quality hardware that improves the function, without detracting from the beauty of the cabinets; thicker shelves for more strength and fully adjustable, so you have more storage options. The result is a superior cabinet for you and your family. Choose the features that fit your needs. Medallion Cabinetry offers more modifications than any comparably priced semi-custom cabinet brand. Custom sizes and alterations, plus integrated furniture features and accessories create a customized kitchen without the custom price. Contact Buildworks for your dream kitchen! Crafted with exquisite details and artistic touches, Platinum displays timeless style and features superior workmanship in every angle, line and curve. Luxury style. Inset cabinetry offers a distinctive look with clean lines created by doors and drawer fronts sitting flush to the face frame. ¾-inch solid wood face frames. ¾-inch maple plywood construction. Quiet close doors and drawer’s, standard. Make it your own. Extensive modifications and custom quotes available; finish selections include stains, glazes, paints, specialty and distressed finishes. Select your wood. Available in knotty alder, cherry, maple and quartersawn oak. An iconic cabinet choice for great American homes, Gold exudes the ultimate in personalization with a vast array of styles, finishing details and smart storage solutions. Long-lasting style. Framed cabinetry offers our broadest array of door styles available in full or half overlay. ¾-inch solid wood face frames. ½-inch plywood construction. Quiet close doors and drawers standard. Select your wood. Available in knotty alder, cherry, hickory, maple, rustic maple, oak and quartersawn oak. Beautiful and functional, Silverline fulfills expectations with its practical value and upscale style. Value and style. Form and function are the order of the day with Silverline framed cabinetry. Silverline door styles are available in either full-overlay or half-overlay and selected styles offer a five-piece drawer front. ¾-inch solid wood face frames. ½-inch laminated furniture board or plywood construction. Quiet close doors and drawers, standard. Make it your own. Limited modifications and custom quotes available; finish selections include stains, classic paints, Vineyard, the Coastal Collection and Highlight. Highlight. Enhance your cabinetry with a hand-applied accent color. Profiles of doors and drawers are defined with brushstrokes. Design-Craft® is Elkay’s newest product with more space inside, for everything. It’s the look you want, with the space your family needs. Design-Craft is a European style cabinet utilizing ¾” thick box construction, 13” deep wall cabinets, and full box customization making design possibilities endless. With more room in every wall cabinet, you have a place literally for everything, including your entire stemware collection, large dinner plates and serving bowls that will not fit into a 12” deep traditional framed cabinet. Also with Design-Craft, you can store more in every drawer with up to 60% more space inside; graters, ladles and other odd-sized utensils no longer get caught when opening the drawer. And, with more space inside, Design-Craft everyday storage solutions fit your family’s unique storage needs. Stainless steel is the latest trend in home decor for style, long-lasting durability and versatility. Danver Outdoor Kitchens is a trailblazer in luxurious, modern stainless steel cabinetry for both residential and commercial use. Their unique stainless steel cabinets are designed with the epicurean and interior designer in mind, manufactured with the artistry and craftsmanship of fine wood cabinetry. These outdoor kitchen cabinets are designed to accommodate grills and appliances from companies such as Alfresco, Lynx and Kamado Joe. Danver stainless steel cabinets are also available with natural wood grain or painted aluminum finishes. Buildworks offers unlimited variations of Danver kitchens for patios, roof decks and other outdoor environments. Select the perfect combination of cabinets, drawers, shelves, appliances and counter space for your dream gourmet kitchen. An outdoor kitchen brings casual alfresco dining to a new level, and lavish special events can now be handled with ease in your private residence. These stainless steel outdoor kitchens are also recommended for restaurants, resorts and country clubs. Danver is the exclusive licensee for Brown Jordan Outdoor Kitchens. Danver has been manufacturing stainless steel cabinets for outdoor kitchens since the late 1990’s. By showcasing color, style and design and inspiring entertainment, culinary creativity and leisure living, Danver established itself as a leader in transforming outdoor entertainment from a simple barbecue island to a fully functional outdoor entertainment space, in which the outdoor kitchen is central to the space. As a testament to our industry leadership, when the premier outdoor furniture manufacturer, Brown Jordan, expanded their presence in the outdoor living market with outdoor kitchens, they came to the experts at Danver. Today, Brown Jordan Outdoor Kitchens delivers uniquely distinctive outdoor kitchens that are both durable and beautiful. We continue expanding our platform by offering hospitality options in the form of stationary and mobile rolling carts, maximizing profit centers for hotels, resorts, country clubs and other luxury resort locations. From new door styles to standard soft-close hinges, Brown Jordan Outdoor Kitchens’ cabinets continue to evolve in quality, engineering and style based on input we receive from architects, designers, food and beverage, as well as FF&E professionals and other disciplines that rely on us to provide unique signature outdoor living spaces to discerning hospitality venues. Cabinetworks specializes in design and manufacture of custom cabinets and millwork solutions for luxury residential construction. We construct custom, client-specific millwork utilizing only the highest quality materials, the most advanced machinery and a team of professional craftsman. We have years of experience building custom solutions for offices, restaurants and homes, so there is no job too complex or challenging. We understand that each project and client is unique. Architects, designers and builders trust us to bring their concepts to life, on time and within budget. Bring us your ideas, plans and designs and we will make your vision a reality. As a dedicated green cabinet manufacturer, Greenworks offers the widest selection of green cabinetry available on the market today. Our beautiful and highly durable cabinets come in three distinct series to suit virtually any décor and budget: Classic Series, Eco Series, Euro Series. 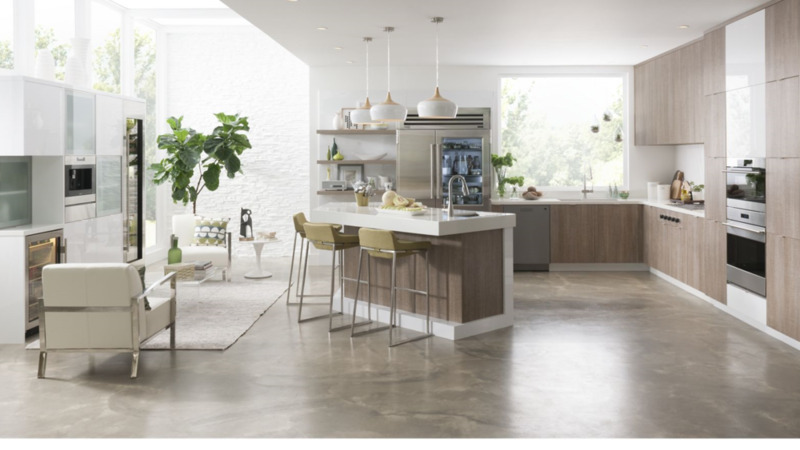 Each Greenworks Cabinetry Series offers distinctive style, quality craftsmanship and tangible environmental and health benefits like protecting forest resources and your indoor air quality. If you would like to fully customize your closets and storage spaces, Closetworks can design the custom closets you have always wanted. We offer customizable closet options for everything, from reach-in closet systems to wine storage. Our wide selection of products and custom closet designs give you the freedom to create a storage space completely unique to your needs, and our friendly, knowledgeable team makes the whole process effortless. We strive to deliver quality products with an excellent customer experience. We hold our materials, team, and work to the highest standards to ensure that you are not only satisfied — you are ecstatic with your new custom closets and storage solutions. © 2017, Buildworks, LLC. All Rights Reserved.